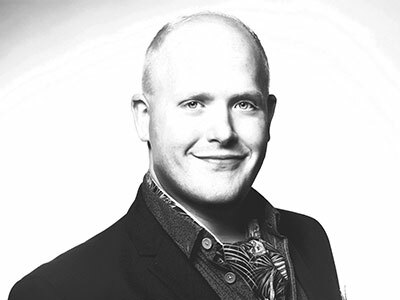 Nicky Spence was an ENO Harewood Artist, having studied at the GSMD and the National Opera Studio. Previously for ENO: Opera for All, Alwa Lulu, Steva Jenufa, David Mastersingers, Francesco Benvenuto Cellini, Novice Billy Budd, Brian Two Boys. Notable engagements elsewhere: Brian (Met); Steva (La Monnaie); Janek Makropoulos Case (Oper Frankfurt); Hirt and Junger Seemann Tristan und Isolde, Jungermann Moses und Aron, Andres Wozzeck (Opéra de Paris); Nikita From the House of the Dead (ROH); Pirzel Die Soldaten (Teatro Real, Madrid); Francesco Cellini (Dutch National Opera); Lummer Intermezzo, Steuermann Der fliegende Holländer, Tamino Die Zauberflote (Scottish Opera); Rodolphe Guillaume Tell, Mambre Mosè in Egitto (WNO); Lampwick Adventures of Pinocchio (Opera North); Quint; Tom Rakewell, Macheath Beggar’s Opera, Jaquino Fidelio (OHP); Steva, Chevalier Carmélites (Grange Park). Concerts: Title role in Act III of Parsifal (Hallé/Elder) and gives recitals at Wigmore Hall, Milton Court, Middle Temple Hall and the Oxford Lieder, Leeds Lieder and Chiltern Arts Festivals. Elsewhere he has sung with the Northern Sinfonia/McCreesh; BBC Philharmonic Orchestra/Abell; New World Symphony Orchestra/Mark Wigglesworth; Atlanta Symphony/Runnicles and the Stavanger Symphony/Tortelier. Recordings: Most recently, Strauss Complete Songs Vol. 8 (Hyperion/Vignoles) and Janacek’s The Diary of One Who Disappeared (Hyperion/Drake).